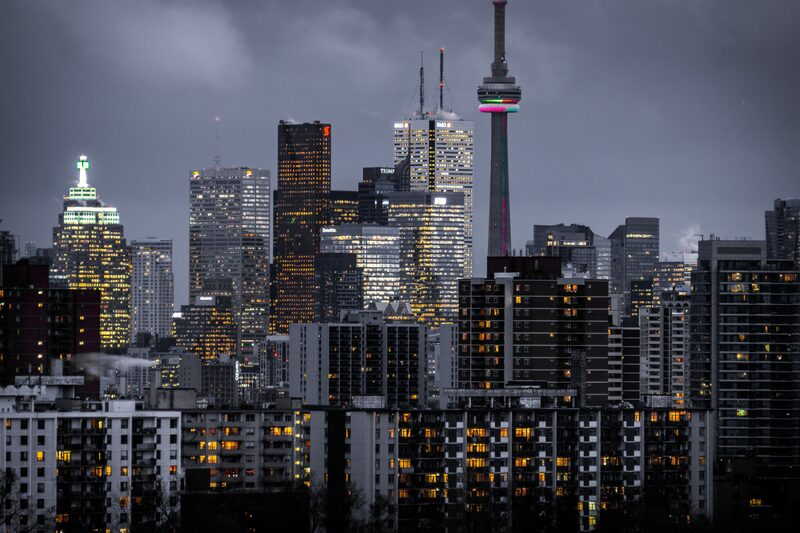 I’m a university student in Canada’s most expensive city: Toronto. The realities of student life and the costs of living in this city seem impossible to reconcile, but I actually manage to survive on less than $1,000 per month in Toronto. Before we dive into how to tighten your budget as much as possible, I ask you to keep in mind that the key word here is “survive”. When living off of student loans and a barely-existent income, your focus is to survive rather than thrive. Unfortunately, the reality is restricting yourself to a lifestyle that is much less than ideal, but this is temporary. I have to remind myself that the quality of life I experience whilst earning my degree might actually be the worst of my entire life. But that’s ok. Saving as much money as possible now is imperative in opening up financial opportunities for myself after I graduate. It’s for the greater good! When facing myself with the hard truth of student life, I need to accept that there are several aspects that will need to be changed. My living situation isn’t ideal, and I can’t order as many pizzas as I would like to, but I stay positive by remembering that it’s only temporary. The focus for me right now is to make it out the other end with a degree and step up my finances from there. I live in a home with 13 roommates, some barely functioning appliances, and one kitchen. This is at the heart of being able to live on less than $1,000 per month in Toronto. At first, I didn’t fully comprehend how bizarre my living situation was. My professor one day asked me how many roommates I had, and when I said 13, she asked if I was lying to her. Before moving to Toronto, I had prepared myself for what might be waiting there for me. With baffling living expenses, I knew that I would have to prioritize when it came to looking for a home. It’s important to decide what is absolutely essential. For me, that meant that the front door locked, my bedroom locked, and it was close to school – all of which I was able to check off at my current house. Best of all, school is a five-minute walk away! Although not my dream home, my rent is only $550 per month. Because of these sacrifices, I’m saving almost $1,500 per month when you compare it to the average price of $2,010/month for a one-bedroom apartment in Toronto. I knew the most important way to cut down on my bills every month was to find the cheapest rent possible. While not a glamorous living situation, I don’t regret my decision in the least. Bills aren’t the only way this house has saved my finances either! I also save money by being able to walk to school, and I take the university shuttle home. Since I work at the school as well, on an everyday commute I will spend $0 on transportation. I’ve also had to make sacrifices concerning general day-to-day purchases. I make coffee at home rather than buying a cup, I limit my socialization expenses, and I stick to eating cheap, boring food. It’s basic changes that I’m sure we’ve all heard before, but they genuinely make a difference, especially if your budget is as tight as mine is. If you’re a student, another important switch is school purchases. I’ve become an expert in academic workarounds. Tuition is already too expensive! Instead of hard copy books, I usually try to find sales online on sites like Google Books or Amazon. If your readings are classic, it’s worth a try to even find free copies. Of a total 40+ readings so far in my semester, I’ve actually purchased about 10 of them. Even if your Google search for free copies turns up nothing, try to buy used copies. It’s a little bit more exhausting, but I spent a total of $125 on books this semester. If I can keep this pattern next semester, I will have spent $350 on books the entire year, compared to an average $1,200 or more among most university students. Is a bare-bones even worth it? Each individual sacrifice begs the same question: is it really worth it? Knowingly lowering your quality of life is a hard thing to do, and I can totally understand the desire to make it out to be not important enough to commit to. However, when I sit down and do the math, I’m blown away at how much these changes have saved me. Trust me, it adds up! I may be living on $1,000 per month in Toronto, but I’m still living in Toronto. It’s one of North America’s largest and most glamorous cities, and I get to enjoy that. My utilities are included, which was also something high on my priorities list. I save on groceries by walking to the grocery store. I also try to buy items on sale, and only buy the very basics. This usually means pasta, bagels, bread, peanut butter, and oatmeal. Although my daily commute is free, I like to set aside $50/month for things like reloading my transit card for trips downtown, or ordering an Uber or two after a night out. My house is pretty far from most of the notorious Toronto nightlife hotspots, so I feel like this $50/month is a small price to pay in order to be part of the action! As a student, this isn’t something I really can’t cut out. I usually schedule $75/month for things like going out for drinks or coffee with a friend. This will also include nightclub cover-fees, or any wine bought throughout the month! My shopping is non-existent except for things that I deem necessary. This includes things like make up, skin care, personal hygiene products, and prescribed medication. Although I’m not able to spare very much, it’s better than not investing at all. With $20 to a high-interest savings account, $20 to a robo-advisor investment account, and finally a roundup savings account. I usually deposit about $55/month, with about a $5 range for wiggle-room. This total comes to $955 per month. Although not luxurious, I’m scraping by, and that’s all I need for now. I am confident that it’s better to live within tight restraints now, in order to open up opportunities for myself after graduation. As a final way to cut corners financially, it’s important to take advantage of opportunities within your means. In order to live on the tightest budget possible, you need to be dedicated to all saving opportunities! One of the most important things for me is a high-reward credit card. If you’re going to spend money, you may as well do it in the smartest way possible. I use a cash-back MasterCard, but the best specific reward varies person to person. One of the most important things to remember when it comes to reward cards: pay your card off regularly! If you feel as though you wouldn’t be able to responsibly use the card, then it will end up doing more harm than good. If you’re a student, there are usually more money-saving opportunities available to you. It’s a rule of mine to ask about student discounts before paying for anything. A lot of companies offer these discounts but won’t promote them, so always ask! There are also usually school resources available to struggling students. Due to safety risks, York University has implemented a free shuttle to get students home at night. Be sure to look through school newsletters for information on cheap/free food programs for struggling students as well. Many schools offer opportunities such as this. Finally, keep your eyes open for community events. Back home in Calgary, the community center next to my house offered a free chili cook-out every Sunday. Specifically, if you’re a student, keep an eye out for club or faculty events that offer free food. These are usually promoted through school newsletters, and can often double as a networking opportunity! Whether you’ve recently moved to a new place, or you just haven’t been immersed in your community as of yet, make an effort to wander! Leave the house and look into what benefits are around you. This is especially imperative if you need to reduce your spending! In an exhaustive combination of a strict budget, implementing lifestyle sacrifices, and reaping the most benefits possible, I’ve managed to live on $955/month in Canada’s most expensive city. The limit of which you can cut your spending isn’t infinite, but it can usually be reduced by a lot more than you’d expect! Previous ArticleHow to Use KOHO and Wealthsimple to Spend, Save, and Invest! I wonder what kind of makeup she buys for $75 a month? Hi, Marcus. I listed quite a few things under that section of the budget! Prescription meds being the big one at about 60$/month. If you must know, I usually spend about 3$/month on make up. How does the kitchen situation work? I had three roommates in an equally expensive city ($380AUS/week) and I found it hard with just them. Props to you for making it all work. That’s awesome! It’s nice to see the essentials and fun budgeted in. Thank you! The kitchen is definitely the toughest part, I share one (small) kitchen with 11 others. I only have one cupboard and cook much less than I would like to, but at least it encourages a minimalist mindset! I mostly just try to buy for quick and easy meals.